Review – GRIT Sector 1: The Uprising by Rebecca Sherwin – 5 Stars!!! The underground wasn’t safe and they wanted BLOOD! Can Master and Lady Blackwood unite before the underground strikes? I have been begging for this book since I finished reading book #1 and Rebecca Sherwin has not disappointed! Their journey became even darker and more twisted; their passion became more heart and soul consuming, and their past had more revelations than the eye could see. Without a doubt, with each book Rebecca Sherwin writes her true writing talent and skills show through. It’s hard to give this book the full credit and exposure it deserves without giving away spoilers and spoilers is one thing I will never do. However, I’m going to give it my best shot. It’s hard to fully explain why I have fallen for Elias Blackwood; the man is dark, twisted and capable of anything and still I found myself wanting to feel his hands on my skin, his mouth on my body and his words in my ear. I wanted to take on his anger and demons and help him fight them. He was powerful, dangerous, a complete enigma that brings your soul and every nerve ending to life. However, there was a part of him that was caring, sweet and in search of a lighter, more freeing life for not only himself but his city. Trixie won over my heart even more in this book. Her strength was outstanding, her fight was feisty and strong and her love for the man who could destroy her was beautiful. She knew deep down he was a strong, wonderful, powerful and caring man, who on the outside was dark, dangerous and terrifying. She knew that together they were stronger and more powerful, that their hearts and souls were bound for eternity. Their journey and mission is far from simple; it’s neither easy or clear and is far from over. 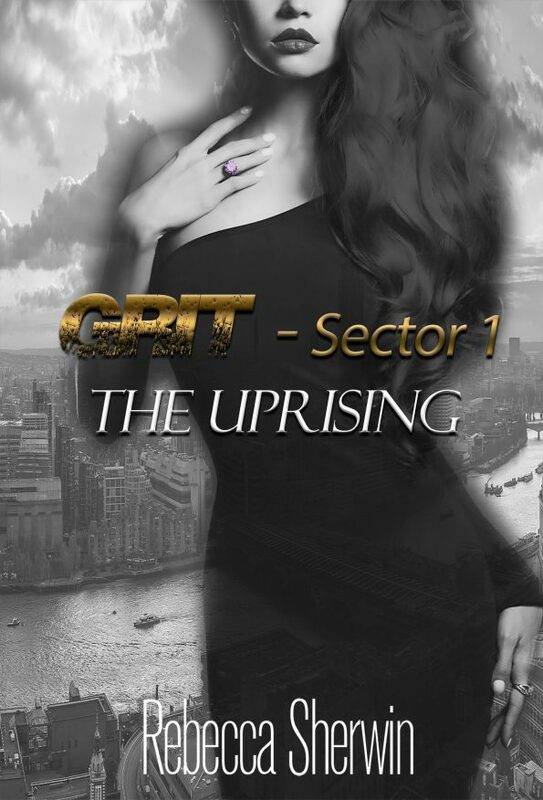 Uprising will test your mentality in ways you won’t imagine, it will send you into a darker and even more dangerous world than book #1 ever did and without a doubt, it will test your morals; however, there is no room for morals in GRIT, only an open, twisted, crazy and darker than dark mind. This series is a break from the norm, it’s a powerful all-consuming series and I highly recommend this series to dark romance readers and for anyone wanting something new and different. You will not be disappointed!